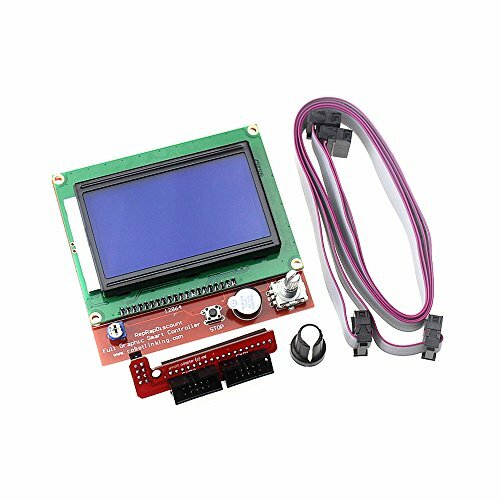 This full graphic Smart Controller contains a SD-Card reader, an rotary encoder and a 128 x 64 dot matrix LCD display. You can easy connect it to your Ramps board using the "smart adapter" included. After connecting this panel to your Ramps you don't need your pc any more, the Smart Controller supplies power for your SD card. Further more all actions like calibration, axes movements can be done by just using the rotary encoder on the Smart Controller. Print your 3D designs without PC, just with a g-code design stored on the SD card. If you have any questions about this product by HESAI, contact us by completing and submitting the form below. If you are looking for a specif part number, please include it with your message.